sparkle and shimmer - materials matter! Hello, brides! 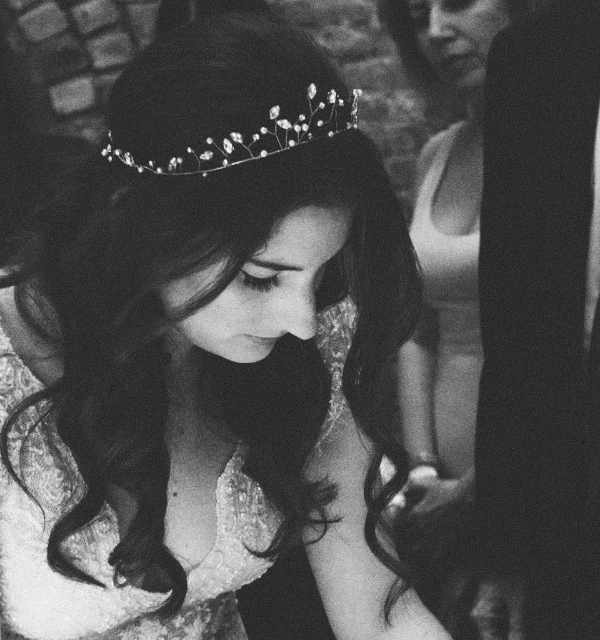 Today we're talking about how important it is to consider quality when purchasing any sort of bridal accessory. We know it's tempting to skimp - but it really does make such a difference on your big day! Check out those sparkly Swarovskis! A high quality rhinestone, such as Swarovski, can help you stand out and draw everyone's eyes to you. Imagine walking down the aisle towards your future husband, and no one can take their eyes off of your face because it is absolutely radiant thanks to your sparkly halo! And they really are captured beautifully in photos, for you to remember forever. Our Emilia headpiece jumps right out of the photo. Pearls are also a great choice of material - they're just organic-looking enough to give a handmade, natural look, but they still look chic and sophisticated. 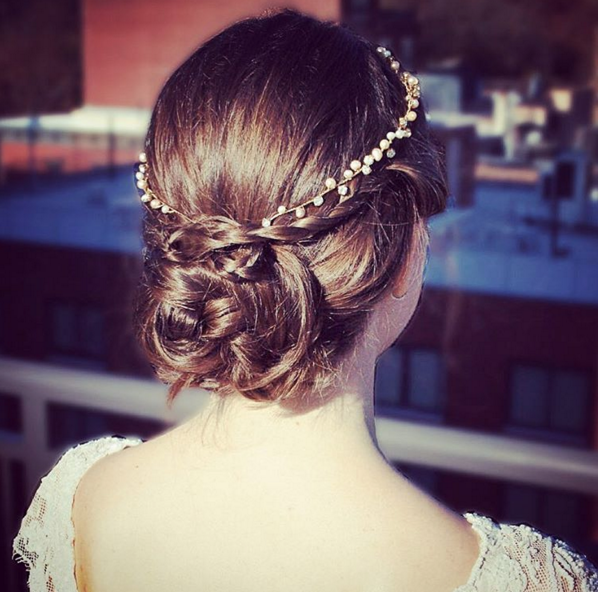 Our Penelope halo, with blush and ivory pearls, tucked perfectly into a braided updo. Another way to use materials to stand out is swapping the standard silver metal accents for gold, or even rose gold. We love a vintage-inspired gold flower - it always looks unique and beautiful! Celeste headpiece - a flower child all grown up.